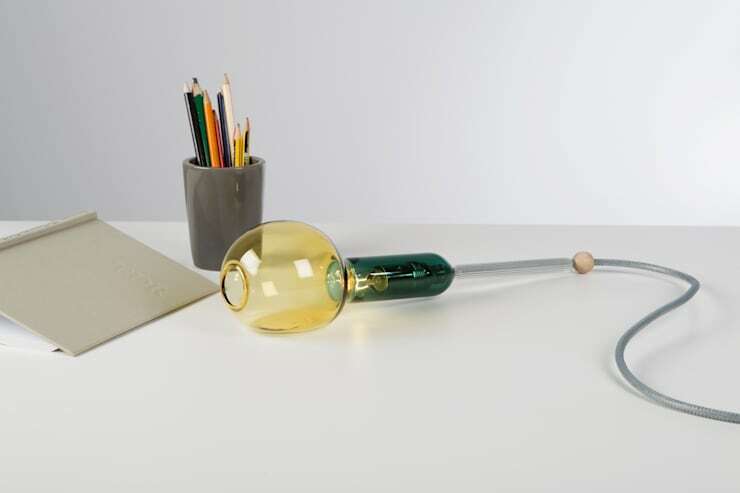 The desk lamp—possibly the most flattering of all lamps, and certainly one of the most important items for a productive and efficient workspace. Rarely does a single lamp bring so much to a space, and possess the ability to inject a space with a certain mood, atmosphere and character. Often when we design our workspaces we think of the humble desk lamp as an arbitrary appurtenance. We incorrectly assume desk lights are merely a luxury accessory, and that a lamp is not entirely necessary. If you have a well-lit room you may think an extra light is overkill, or that perhaps the additional illumination is simply not required. However, good lighting is an important element when creating a functional and practical workspace. Desk lamps are not only needed, but they tie your room together, create a trendy space, and provide direct light to your table. If your desk is lacking a little oomph, needs a bit of pizzazz, or is simply ineffective and poorly-lit, take a look at the following examples below, which are sure to infuse your space with style, appeal and usability. This exciting lamp is a timeless addition to any workspace. At first glance, this light appears to be a combination of a traditional desk lamp, but with the added style of a old-world lampshade. Create this space with a freestanding desk, soft moody illumination, thick curtains and plush textiles. For added luxury, include a traditionally timeless desk lamp, upholstered desk chair, and statement television located above a marble fireplace. This LCD screen is excellent if you need to present visual work to potential clients/customers, or simply want a space with plenty of flexibility. When we think of desk lamps, we inevitably think of the traditional lamp which sits to the corner of the table and provides gentle illumination. 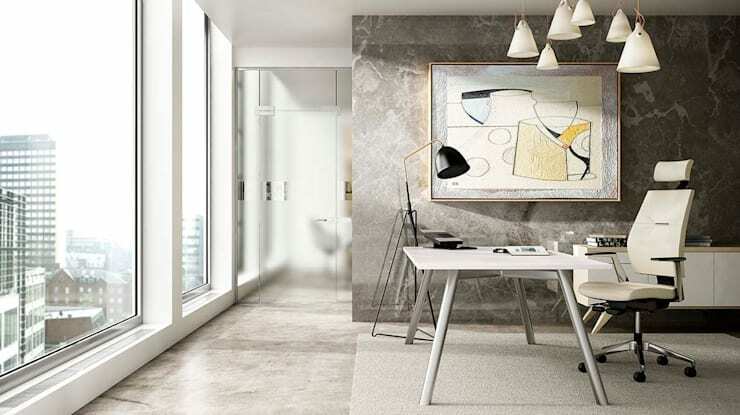 These days there are many different options when it comes to workspace lighting, and the freestanding floor lamp is one them. This space is modern, stylish and clean. Maximising the view from the desk, the surface is sleek and unimpeded by accessories or accoutrements. The lighting is provided by a tall floor lamp whose gentle glow is directed downward onto the desk providing a luminous radiance without compromising space. Our workspace is where we create, build and toil with our many differing pursuits, so it makes sense that the space needs to be inspiring, and match our tastes and needs. If you would like a spot that is bright, lively and vivacious, consider a retro desk lamp. Coordinating perfectly with the bold print adjacent, this lamp incorporates a retro aesthetic while being contemporary in its design and form. The Carrara marble base is rounded and sleek, while the raw beech toned timber stand looks slender and recessive. The highlight of this lamp is the shade. A 3D disc shape, this bright electric blue hue evokes energy and is coordinated with the colourful power cord attached. When one lamp just isn’t enough, perhaps you can try two? This desk is exciting and ingenious. 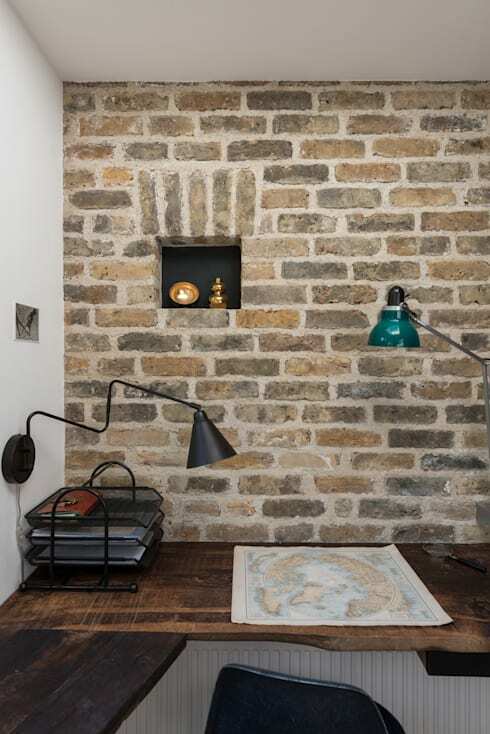 Utilising two lamps instead of simply one, the area provides great illumination and is a perfect space to draw, write or work at a computer. The wall mounted nature of these lamps mean that no desk space is compromised, while the light can be directed downward onto the surface, or away, creating an ambient glow. With these semi-industrial style lamps choose a rustic timber surface, textured brick wall, and black metal accessories. If you want to make a statement and try something a little different, why not think outside the box and choose a piece that will act as a work of art as well as provide much needed illumination. This interesting globe design by Sarah Colson is a fabulous example of simplicity and style. Resting simply on the table top, the light is very versatile and can be moved, re-positioned and relocated. If you don’t wish to have it laying on your desk, you could install a hook above and have it dangle downward to provide a subtle glow.